I’ve been loving experimenting with drone photography this year. I took this photo with my DJI Spark in Ostuni, Italy back in October. Ostuni, Italy. October 12, 2018. 8:10 am. Really digging this new punk album by Bodega. Great summer jams. Spring flowers in Wicker Park. What a great story and such beautiful images. At the Logan Square Food Truck Festival. The moon over Lincoln Park in Chicago, Illinois. Taken today at 7:19 pm. Sunday, July 23rd, 2017. West Chicago, IL. Sinister (October 17, 2015) - Didn't finish. Finished October 26. Charade (October 22, 2015) - Fell asleep. I took this last night in Humboldt Park while playing kickball with friends. What a beautiful sky we've been having lately. Heading back to Chicago on the Amtrak I made this short video of the sunset. A simple timelapse experiment using the camera app on iPhone 6 in iOS 8. I made some experimental videos today. Built in Time-lapse function on iPhone 6. Hyperlapse set to 10x on iPhone 6. Here's another Hyperlapse video I have created. This time Critical Mass Chicago of August 2014 is the subject. 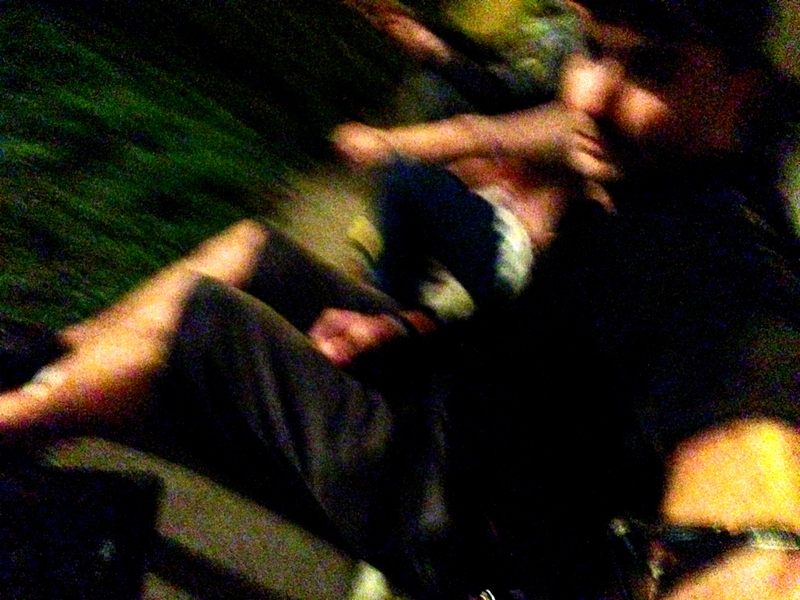 Biking around Chicago was an amazing time with such a large group of mostly-positive people. It's a bit shaky due to my iPhone 5 only being mounted with a Joby GorillaPod and a Glif+. Also, the Hyperlapse was processed at 8x, but I then doubled that speed when editing it together in iMovie. This reduces the amount of stabilization that Hyperlapse automatically provides. It was a sacrifice I chose to make in order to get the video to be of a reasonable length. Without the 2x speed increase in iMovie, the video would have been well over 10 minutes long. Sidenote: does anyone know of any better iPhone mounts out there for handlebars that will allow for video to be recorded? Instagram released an interesting new app the other day called Hyperlapse. It's a clean app, with only one button to record. I hooked up my Joby Gorillapod for iPhone to my Surly's handlebars and hoped for the best after hitting play. While the ride was very bumpy, Hyperlapse performed admirably. I chose to have it play back the video at 10x normal play speed to compress the nearly 30 minutes of video into approximately two minutes. Check out the video below and let me know what you think. You can also get a great overview of Hyperlapse from Instagram's blog here. I'm very excited to see The Royal Tenenbaums and The Life Aquatic on the big screen again. Let the Future Come Alive! If you've never heard of this guy, see what he did on Wikipedia. While driving out of Chicago on June 21 to head to my good friend Brittiney's wedding at Camp Wokanda (pictures coming soon), I took Highway 39 south and was being chased by this massive storm front the whole way. The air was cold instantly and the wind was very strong. Eventually, I stopped in Lacon to grab something to eat. There it started hailing and the streets flooded instantly. Quite a lot of power behind these ominous clouds. 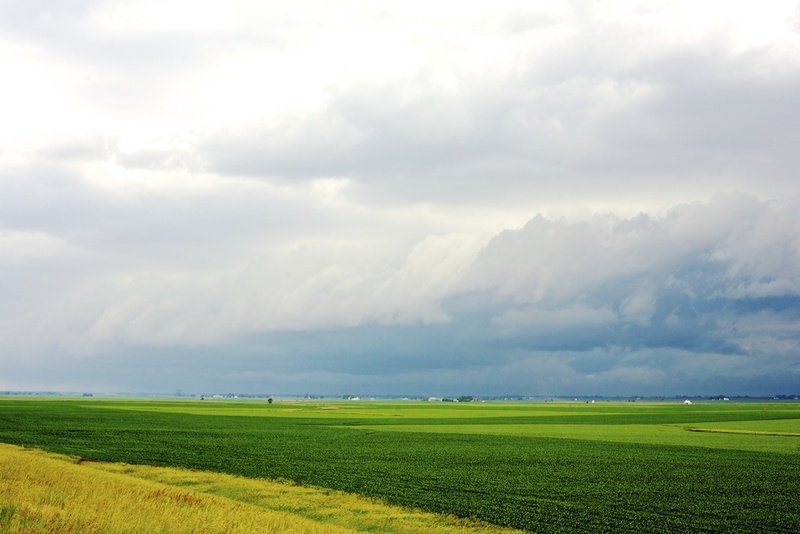 A storm front moving south near Lostant, Illinois.